Originally published at Comic Book Daily under my Bound Together column. Forced into hiding by a global ecological cataclysm, humans emerge from their underground warrens half a millennium later to discover that the Earth has been totally transformed. All of the familiar flora and fauna are gone, replaced by a radically altered natural order populated by rampaging dinosaurs and strange, new creatures. It takes guts, grim determination, ingenuity and a whole lot of old-fashioned luck just to survive, much less thrive, in this alien wilderness—all qualities that ace mechanic Jack Tenrec, lovely scientist Hannah Dundee and their friends possess in abundance. But even the worthiest of these hardy souls are hard-pressed to surmount the obstacles presented by their new homeland. And when those trials are further compounded by the underhanded and selfish actions of the cutthroat human scavengers they encounter, even the best equipped and bravest among them might not endure. That sums it up nicely. We follow our two main characters as they interact with the city states they’re from and the human treachery they encounter. The plot is slow to develop but we start to learn about other intelligent races and their involvement with the reemergence of the human race. Characters are well-developed, dialogue snappy and energetic. 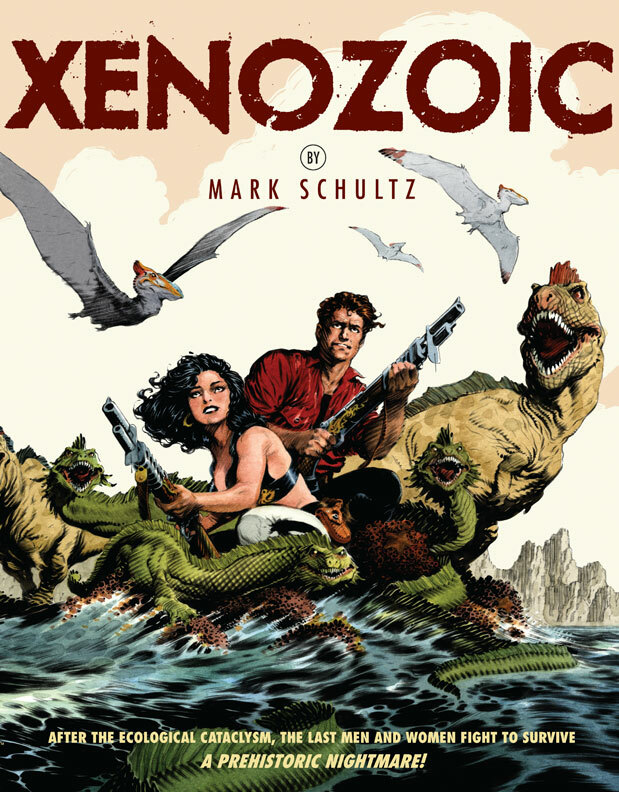 Artwork is a real progression as we follow Schultz as he develops his own style. The first few stories are rough, mostly in the inking and shadowing; almost like he had planned to colour the pages. With the last story the art is stunning: no other way to describe it, Schultz is a master craftsman. The same goes for panels and page layout: you can feel as he works and grows as a cartoonist. By the last page you’re awestruck and pining for more. Fit and finish is excellent. Not a lot of 8.5×11″ comic books out there but the page detail is superb; the wide margins indicate we could have seen a smaller size. A nice heavy paper stock and quality binding. 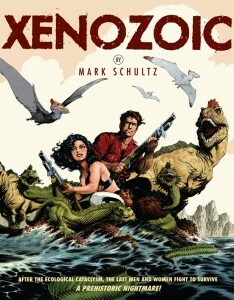 No extras included: I would have appreciated some sketches from Flesk’s Mark Schultz Various Drawings volumes. Of course I would love to have a hardcover edition, regular and a signed and numbered perhaps? 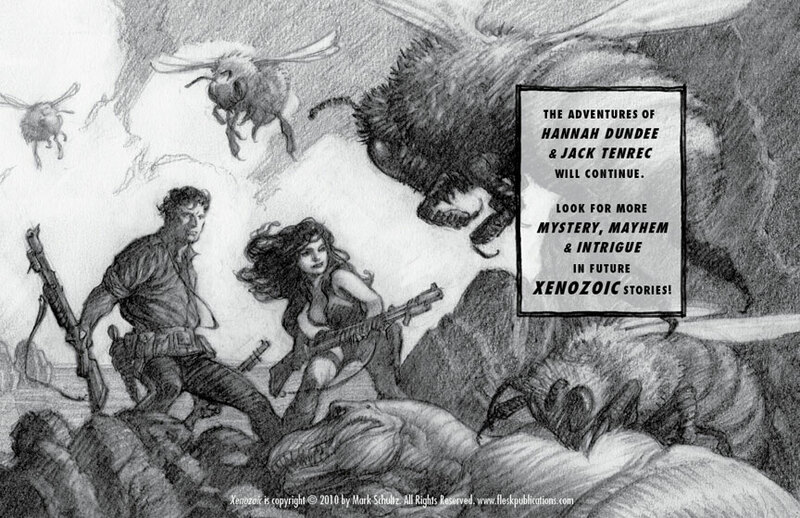 One small oddity: Craig Elliott provides the introduction and receives equal space with Mark Schultz on the rear tab of the book jacket and on the Flesk website. At $39.95 it’s a solid value: you’ll enjoy pulling this off the shelf every year for a read.